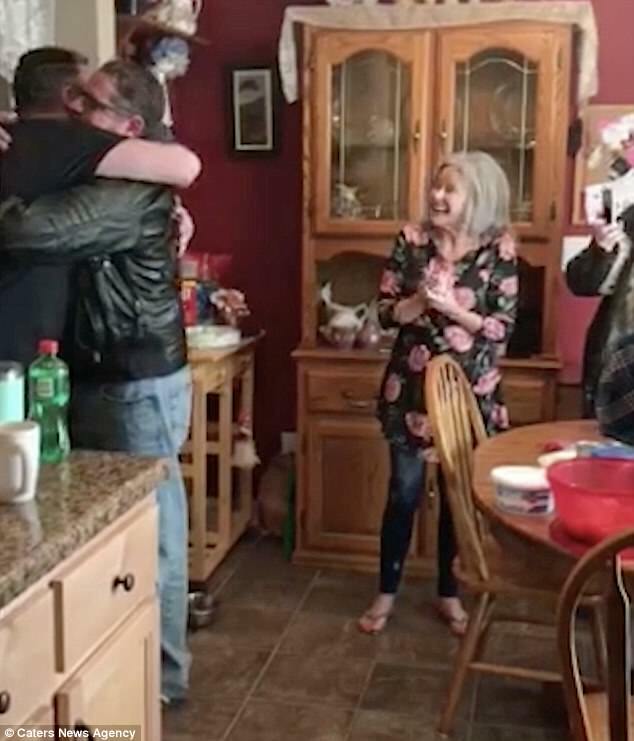 This is the heartwarming moment a mother was reunited with her son 44 years after she placed him up for adoption. 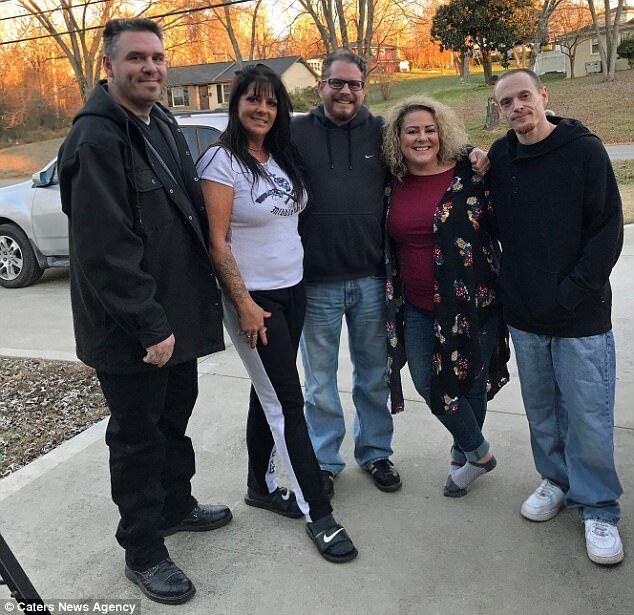 Diana Laney, from Clarksville, Tennessee, made the difficult decision to give up her youngest child after she found herself struggling to raise her older two children as a single mother. Diana, now 66, had no contact with her son, Casey Wineland, until her daughter Mimi Montgomery tracked him down in July this year following a tireless 17-year search. 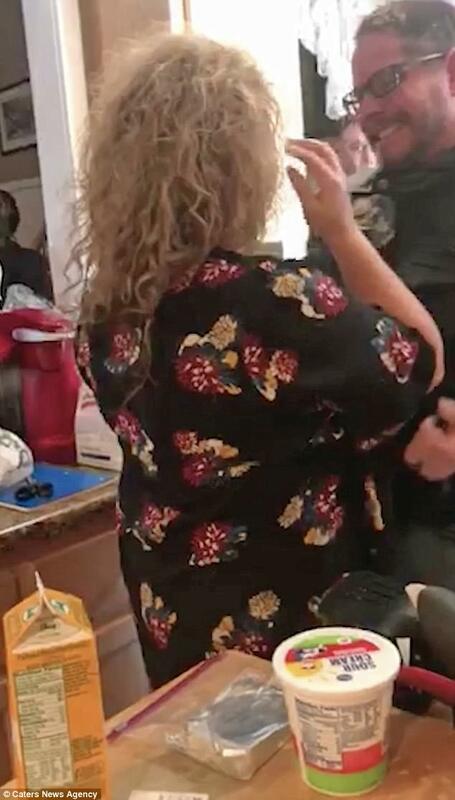 She arranged for Casey to join her mother and her siblings, Kelly and Doug, for Thanksgiving and the emotional family reunion was caught on camera. The clip captures Casey and Diana shaking as they embrace for the first time. Mimi said: ‘My mum was so nervous, I had to basically cook the entire meal because she couldn’t even hold anything. ‘She keeps telling me how thankful she is for what I’ve done for her, she never imagined how wonderful it would all be. Casey was adopted as a baby in 1973 by a couple living in Ohio, 500 miles away, and said they were the ‘most loving family’ he could have had. Following his adoptive mother’s death to cancer when he was just 18, Casey turned to drink and drugs but has been sober since 2014. 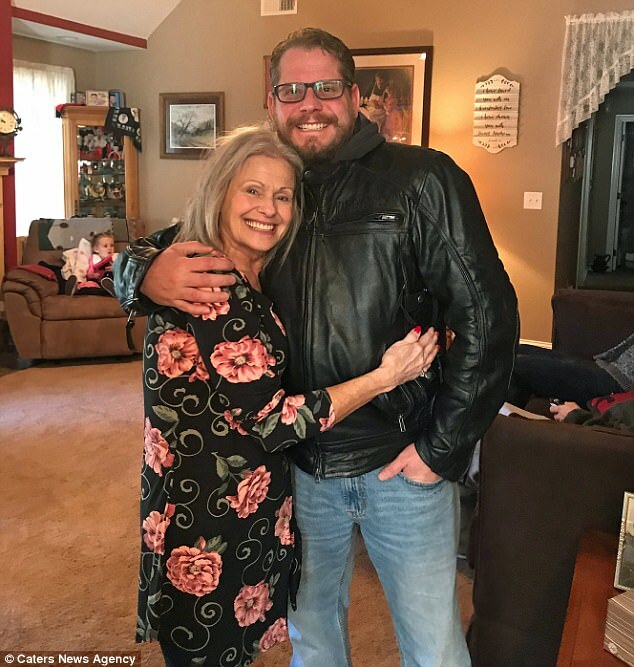 The bar manager, who now lives in Kansas, Missouri, said he believes his reunion with his biological family is the work of his late adoptive mother as a reward for his sobriety. Casey said: ‘If I would have met them four years ago, I would’ve been so ashamed. 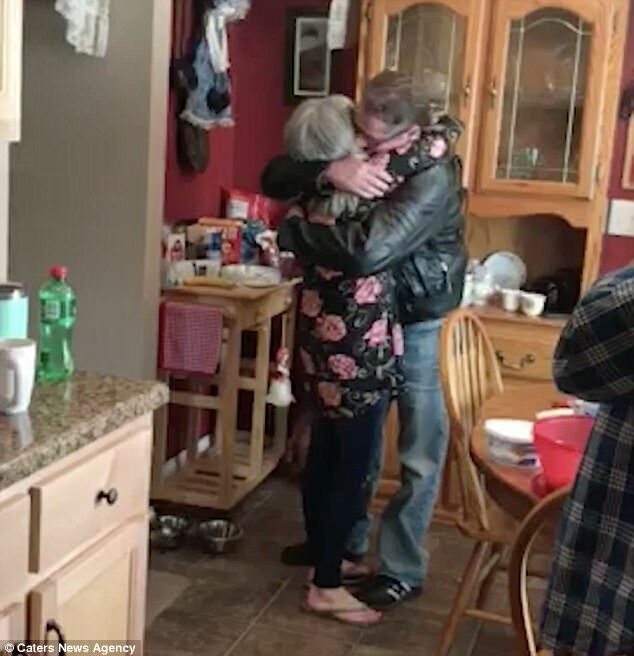 Meanwhile Mimi, 40, did not know she had a brother who had been adopted until she was 23 but immediately knew she wanted to find him. She spent years posting Casey’s birthdate in adoption forums and finally had a breakthrough earlier this year when she was given his name by someone on Facebook. From there, she was able to contact Casey’s adoptive sister, Mayra, on the social networking site. Casey said: ‘When Marya called me to tell me she was 99 per cent sure she’d just spoken to my biological sister, suddenly an empty place in my heart began to fill. I was about to get all the answers I’d been waiting a lifetime to hear. Casey explained that he also understood his mother’s decision to place him up for adoption. ‘Diana was worried I’d be mad,’ he said, ‘but I was put into the most loving family I ever could’ve had. I’m very happy for the family I have and now I have even more.